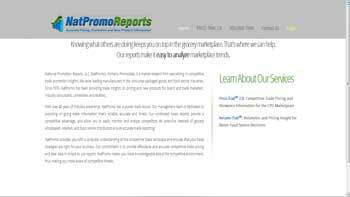 National Promotion Reports is a Coldfusion/MSSQL based report generator that I have a running contract with. I started working with them to fix some of the problems they were having with their account creation and report generation code after the original programmer left. Since then I have taken over as lead developer and tech person, leading a team to keep both sites running, generating regular reports, processing data, implementing new features and servicing the tech needs of the company. 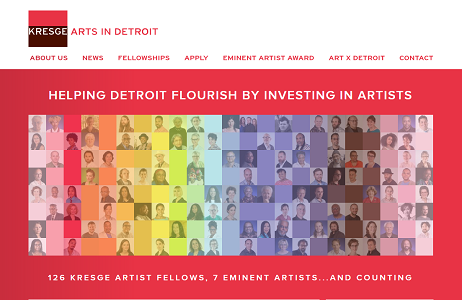 Kresge Arts in Detroit is a Wordpress based site. I do running support work for their highly customized site including fixing bugs that come up and helping update the site twice a year when they start and end their fellowship award cycle. I'm also currently in the process of developing an updated site for them with a new template. 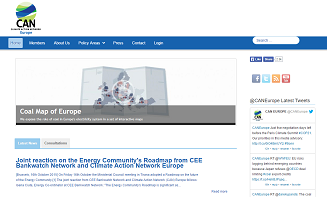 CAN Europe is a Joomla based site. This is a site that I both host and do support on. This includes keeping the site up to date as well as fixing bugs and adding new features as needed. We are also working on a new template and site structure to improve the user flow through the site. These projects may or may not still be active and available to view. 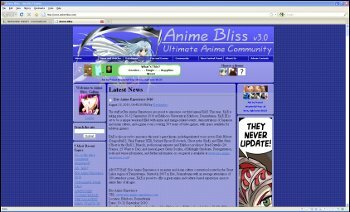 Anime Bliss was the first website that I built using PHP and MySQL. With the exception of using Simple Machines Forums I built the entire site and the conent management system from scratch. I also made some substantial customizations to Simple Machines Forum to make it display the news the way I wanted and extend the login functionality across the entire site. The Goblin's Cavern is an ecommerce website. The base is Zen Cart but I have made substantial customizations not just to the templates but also to the administrative functions. When I wanted to start the site I found there was no shopping cart that worked well with a comic shop, requiring me to make adjustments for things like preorders and importing/modifying large quantities of items. 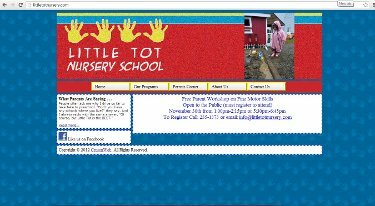 Little Tot Nursery School was a case of a local business that had a current site but they were unhappy with their current development company. The company had set up the site using a proprietary system and then stopped supporting it. On top of that, the system was hard to work with and the site owner constantly had to contact the developer to make the most basic updates. The developers was going to charge thousands to redo the site so I stepped in and redeveloped the site for a fraction of what they other developer would charge and set it up using a Joomla! back end. This made it much easier for her to work with when she wanted to make content updates, and she completely owns her site now. The current template is the original template that the previous developer did with some minor tweaking that I did to add in some elements like the rotating image on the top right. I'm currently working on developing a new template with her though. Workstation Consultants was a ground up build. They needed a site that would be both informative and display their inventory. However, unlike most ecommerce sites they weren't planning to sell anything through the site, just use it as a showroom. To add another wrinkle though, they were thinking about wanting to sell items through the site in the future so I wanted to make sure they had that functionality from the beginning. So the informational portion of the site was done in Joomla while the Showroom was built in Zen Cart. Neither solution could be integrated into the other out of the box so I had to create a custom solution that would make them look like each other, as well as the Zen Cart end sharing modules from the Joomla end. 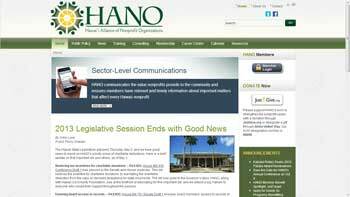 The Hawai'i Alliance of Nonprofit Organizations (HANO) was looking to implement CiviCRM on their site to facilitate membership enrollment and management. The original task was to import the data from their previous system on Wild Apricot as well as creating the membership forms. It expanded to include migrating their site to a new server, securing their out of date Joomla and CiviCRM installs as much as possible, and an upgrade to the most recent versions of Joomla and CiviCRM. 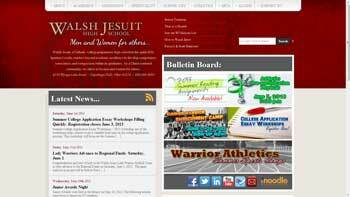 Walsh Jesuit High School was already using Joomla and CiviCRM successfully. However, they ran into some problems with recurring payments through their payment processor, IATS. The programmer that created the IATS integration for CiviCRM was unavailable so I was hired to resolve the issues. The problem ultimately came down to IATS not returning the correct response to tell CiviCRM that the payment was successful. The code had to be modified to assume that the payment went through correctly and then the auto response emails had to be customized. I also ended up setting up the event payment report to email out on a regular basis and customized it to include the credit card type and last four digits. 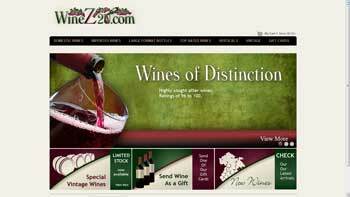 WineZ2u.com was a site built on Zen Cart that needed some custom code rewritten and the original programmer had hit a wall. I came in and customized the product page templates to pick up information from both custom fields within the database and the API provided by Winesearcher.com. The information was then displayed within a table which is unique for each product in the database. 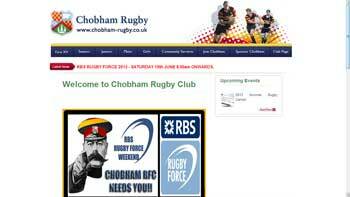 Chobham Rugby had a site that had been attacked by a number of hackers due to a seriously out of date Joomla and CiviCRM install. I went in, ran upgrades and cleaned up the site. I also solved a number of other issues with a custom made multi-page membership form as well as disabling the ability for spam bots to create accounts on the site. The final piece was a full upgrade to the most recent versions of CiviCRM and Joomla. 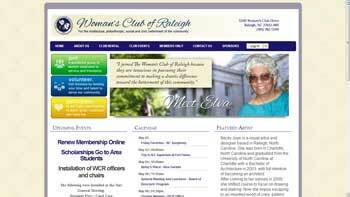 The Woman's Club of Raleigh ran into some problems with their site when they upgraded to the newest version of CiviCRM. Some of the issues were bugs that needed to be solved within the core code of Civi itself. One of them was a problem I had already solved previously and submitted a patch for. One of the problems was actually something that only worked in previous versions because it was a bug. The final problem I created a work around for and am working with the Core Team to see if we can implement a permanent solution for.